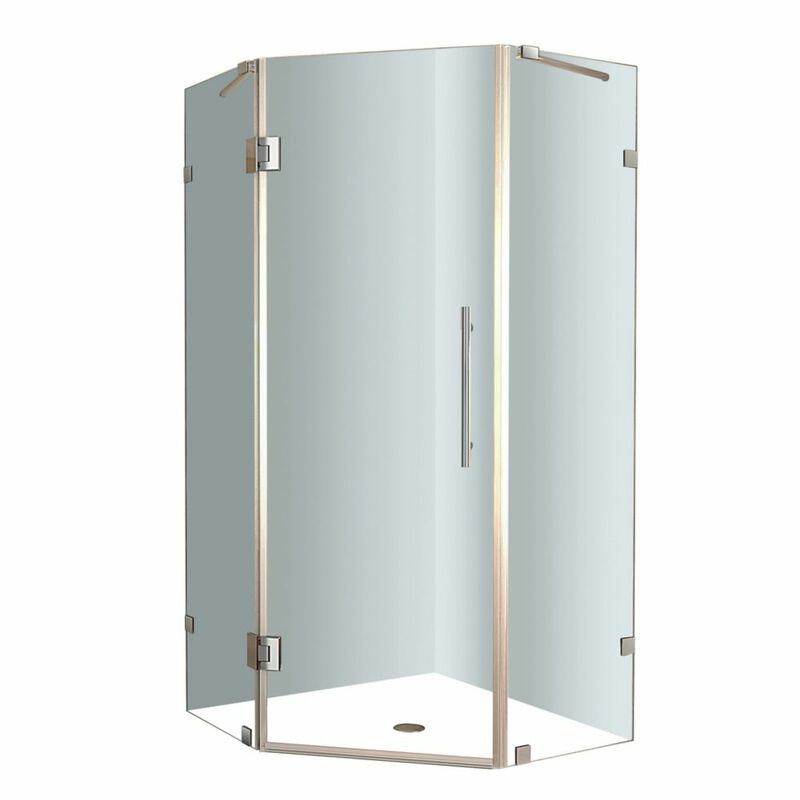 Neoscape 42-Inch x 42-Inch x 72-Inch Frameless Shower Stall in Stainless Steel Add a desirable contemporary style to your corner shower allotment with Aston Neoscape completely frameless neo-angle shower enclosure. Available in a variety of width / length models - from 34 in. to 42 in. - the Neoscape will instantly upgrade your bath. All models feature 10mm ANSI-certified clear tempered glass, stainless steel or chrome finish hardware, self-centering hinges,premium leak-seal clear strips and its reversably enginered for left or right hand installation. All models come with a 5 year warranty, standard; base not included. Neoscape 42-Inch x 42-Inch x 72-Inch Frameless Shower Stall in Stainless Steel is rated 5.0 out of 5 by 1. Rated 5 out of 5 by RJ from Very well made. Real quality product Excellent quality materials well made properly packed for shipping. I would recommend verifying measurements of your shower base with Aston Global before ordering the unit. The instructions were well written with drawings to guide installation process. It is a two person job. I would certainly purchase again.